Clocktower presents Papo Colo: Assorted Times in Singular Spaces, an intimate selection of works on paper and poetry by Puerto Rican artist Papo Colo, presented at the Liga de Arte, in San Juan, PR. A large exhibition of these works was originally organized by Curator Beatrice Johnson for the Clocktower Gallery, in New York, NY. Assorted Times in Singular Spaces showcases select pieces from four bodies of work: two series of collages, Franco Documents (1976) and Secret Documents (1979); two series of ink on paper illustrations, Post History Calligraphy (1978) and Protos (2012); in addition to a book of poetry. 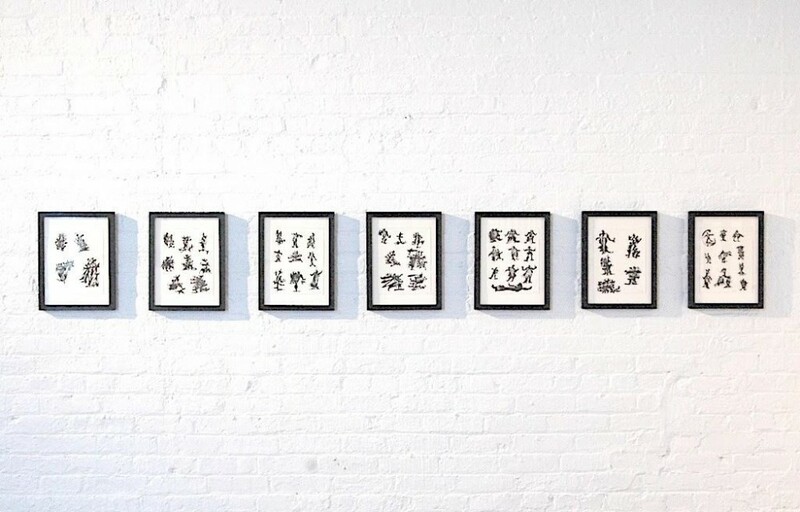 The selection reflects Colo’s interest in calligraphy, archaeology, and mysticism, and marks iconic moments in both political and personal histories. They explore the composition of poetry as visual imagination and are in many cases produced in a semi-conscious state, channeling intellectual and physical impulses, in a Surrealist creative process. Papo Colo (b. 1946 in Puerta de Tierra, PR) is a performance artist, painter, writer, and curator who lives and works in New York City and the El Yunque rainforest, in Puerto Rico. In 1982 he co-founded Exit Art with Jeanette Ingberman, which became one of New York’s most important alternative art spaces. Colo’s work has been exhibited at MoMA PS1, the Clocktower Gallery, the Walker Art Center, the Yerba Buena Center for the Arts, the Studio Museum in Harlem, El Museo del Barrio, and the National Gallery of Puerto Rico, among others. Organized by Beatrice Johnson and Alanna Heiss of Clocktower, at the Liga de Arte, San Juan. In support of Papo Colo: Assorted Times in Singular Spaces, the Clocktower team traveled to Puerto Rico to explore congruent exhibitions and performances in the area including an exhibition of Papo Colo at the Museo de Arte de Ponce, organized by Klaus Biesenbach of MoMA PS1; a showing of Dan Flavin work entitled Puerto Rican Light (Cueva Vientos) installed in an oceanfront limestone cave system near the southern coast by artists Allora and Calzadilla with the support of Dia Foundation, and Papo Colo's new performance, PROCESION MIGRATION, where the artist retreats into the El Yunque rainforest for 400 days.